One of the great things about modern log home building technology is that there are so many options for interior finishing. 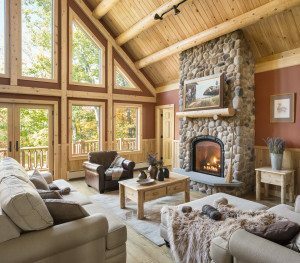 Katahdin Cedar Log Homes’ wall system utilizes Northern White Cedar, which provides the most stable log wall envelope in the industry. This translates into a structure that is susceptible to only minor shrinkage because the cedar logs have a lower moisture content than other log species used in home construction. Stable logs equal stable walls in a Katahdin log home. This stability allowed us to engineer the Energy Envelope System to add energy saving insulation at levels to meet or exceed Federal and state energy efficiency codes. 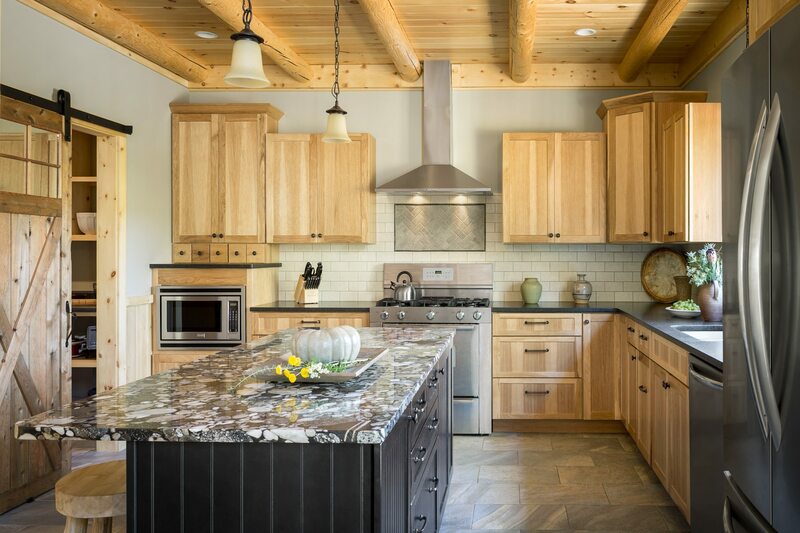 Traditionally, Katahdin Cedar Log Homes with the Energy Envelope System have been finished on the interior with cedar paneling that reflects the flat or round profile found on logs. 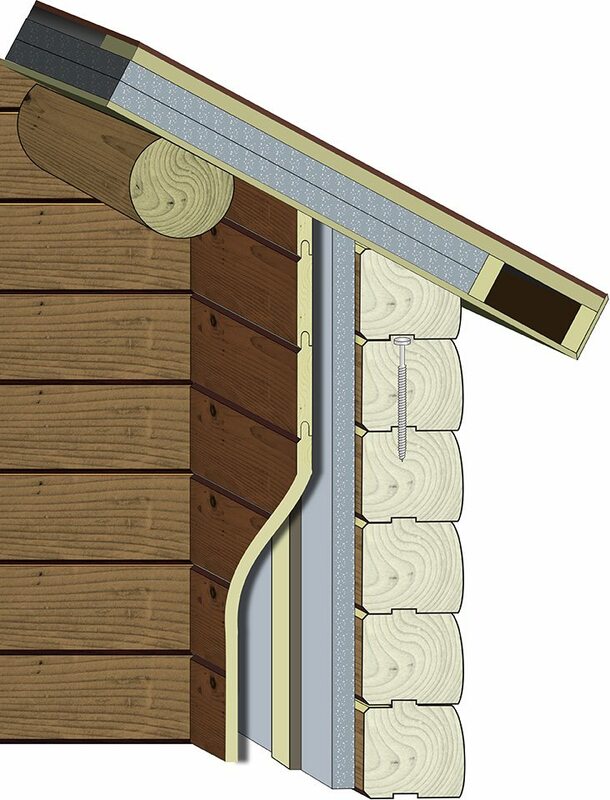 The system provides whole log construction in the exterior envelope walls, superior insulation and then the option of completing the log look on the inside. What many customers don’t realize is that interior walls can be finished with any type of surface desired including, but not limited to, cedar paneling to complete a log-style look. Wall board, sheetrock, stone facings, brick and tile are just some of the options for the interior walls. The result is a more contemporary interior décor that trends toward a timber frame style home. 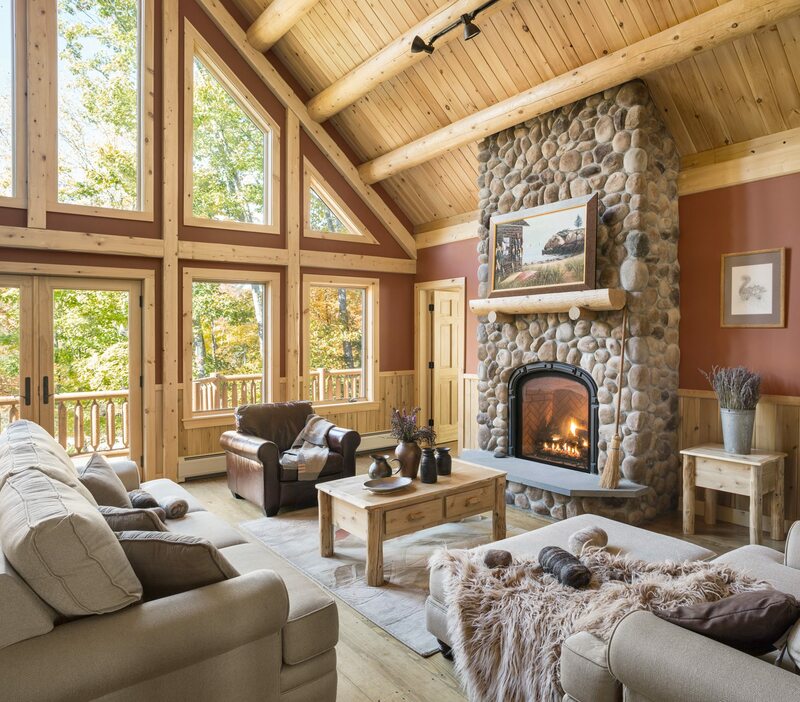 Katahdin’s system expands the options for a log home interior exponentially. With sheetrock interior walls, an entire palette of colors in paint and even wallpaper can truly make your interior spaces your own. Explore some of the unique options for a more contemporary look including, corrugated metal sheets, slate or blackboard walls in the family room or kitchen. Tap into the amazing amount of beautiful tile that can also be applied to walls with options. Even traditional hand plastering for an adobe effect blends well with purlins and log accents. If you still want to include the log wall look, consider adding chair rails and either upper or lower wall cedar combined with sheet rock painted in dynamic colors. That’s one of the things we like so much about the Energy Envelope System — it opens the door to your creativity.